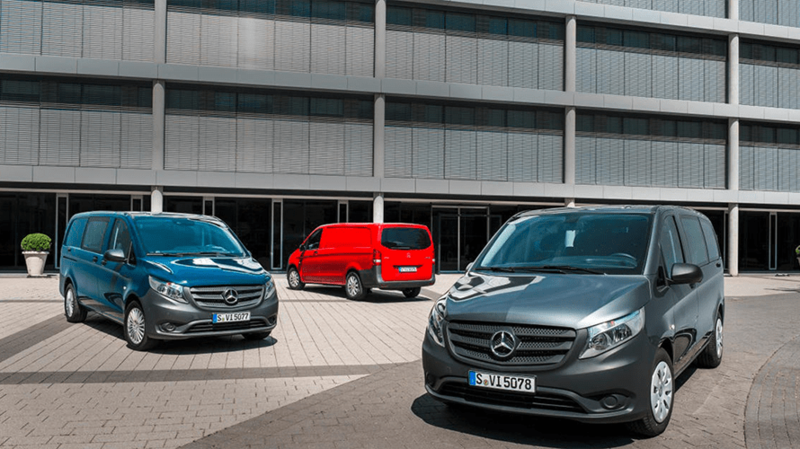 The Mercedes-Benz Vito van was among the affected models. Mercedes-Benz parent Daimler is recalling nearly a quarter of a million diesel vehicles after German regulators accused the company of installing deceptive software designed to trick emission tests. The so-called “defeat device,” which keeps emissions low just long enough to gain government certification, is the same tactic that spurred Volkswagen’s blockbuster emissions scandal in late 2015. Since then, several automakers have used similar tricks—most recently, Porsche pulled 60,000 cars in May and BMW recalled 12,000 in February—but no company has incurred heavy fines or charges since Volkswagen’s punishment. The 238,000 cars covered in the latest recall include the Mercedes C-Class, the Daimler Vito van and GLC models. Daimler has agreed to refit the vehicles with new software before returning them to the road, despite its stance that it did nothing wrong, according to BBC. Daimler didn’t immediately respond to our request for comment. German transportation minister Andreas Scheuer said a total of 774,000 cars are affected across Europe, but Germany only has jurisdiction over those within its borders. As many as 11 million cars may be affected worldwide. In a tweet, European Union industry official Elżbieta Bieńkowska urged other member governments to follow Germany’s lead. The recall comes after Daimler agreed to retrofit 3 million diesel cars for similar problems last year, though no recall was issued at the time. Daimler reportedly maintains that the legality of such software remains unclear, and the company is not expecting any fines. Gartner auto industry analyst Michael Ramsey said he doubts the recall will do much to harm the company’s brand, but it doesn’t bode well for the credibility of diesel power in general.